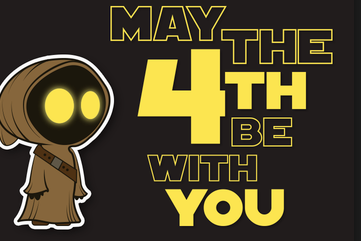 Bree: May the fourth be with you! 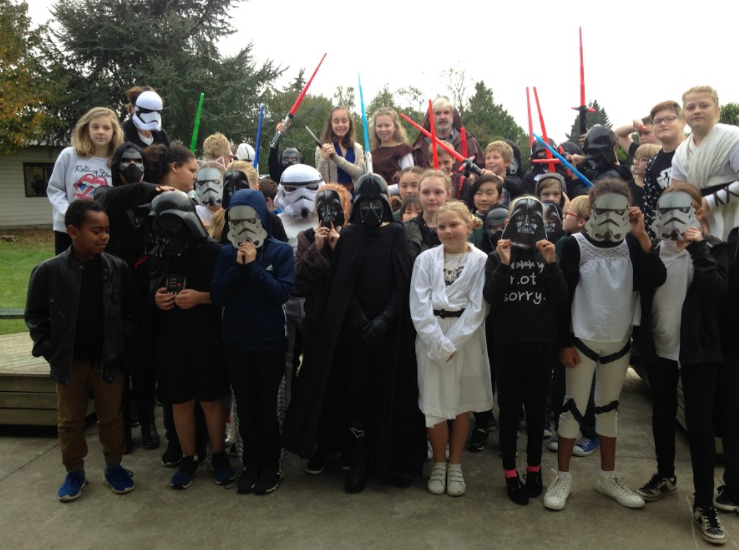 Today was star wars dress up day because it is May 4th. I am not really a star wars fan so I just wore black but otherwise today has been really fun. Are you a star wars fan? Comment if you are! We made some paper character mine failed so I sort of gave up but it was still fun to watch everyone else make there's. It was so funny when we all walked into school and all the teachers were dressed up. I have really enjoyed today and hope we can have another dress up day. Labels: May the fourth be with you! I thought it was a great day too. I loved how most of our class got into it and it was pretty funny to watch the junior students get super excited over the outfits. I found the little cube things hard too. I had to help a couple of people make a tie-fighter and it pushed my patience and detail skills to the maximum. Got there in the end though. I'm glad you enjoyed it, despite not being a Star Wars fan. I do enjoy a good star wars movie. I wonder who else you will have comment. Hi Bree, my name is Bruno. 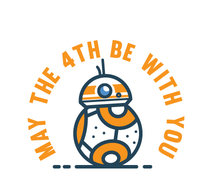 I really liked you blog post about Star Wars and May the 4th. I actually quite like Star Wars and am sad that it's ending. Maybe next time you could add some more photos of the day. If you would like to check out my blog here it is http://wpsbrunoa.blogspot.co.nz/. Hi Bruno thank you for commenting on my blog and leaving me some feedback I really enjoyed what you thought of my post. And yeah it is really sad that they are ending star wars because me family enjoyed. Thanks again for commenting and I am looking forward to seeing your blog.